This rooting powder promotes callusing at the base of the cut end of the cutting. This initiatises rooting quicker than normal meaning speedier rooting and fewer losses. 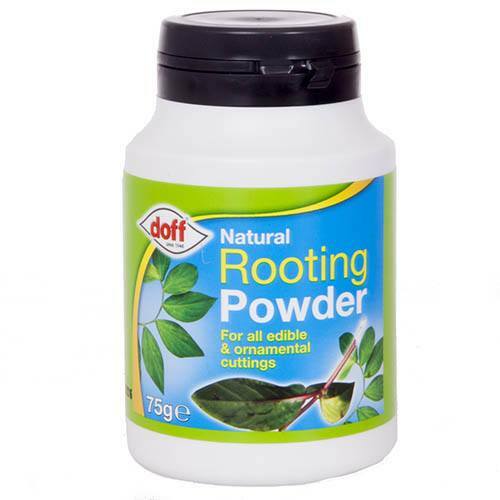 The pefect kick-start for all softwood, semi-ripe and hardwood cuttings, this rooting powder promotes callusing at the base of the cut end of the cutting, initiating rooting much more quickly than normal meaning quicker rooting and fewer losses.